So you dropped a chain on a ride, got grease all over your gloves, and accidentally wiped them on your crisp, white, team jersey. Or maybe you rubbed some grit and grime onto your bib shorts putting your bike back on your car rack. However you got the grease on your bike kit, it’s a heck of a lot tougher to get it off and return your spandex colors back to their original brightness. What’s the solution? Orange Hand Cleaner! You know, it’s that stuff your dad used to wipe his hands off after working on the car–or maybe you use it yourself to get the grease off your fingers after adjusting your derailleurs. 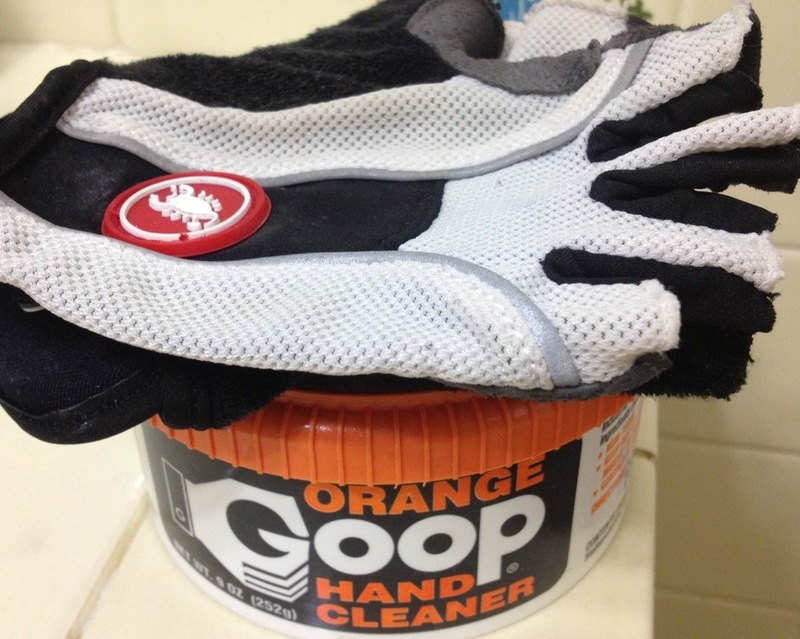 As well as it works on your hands, it works even better to get that grime out of your cycling clothes. You’ll want to be sure that the type of cleaner you’re using actually has a citrus ingredient. Just because it says orange on the package doesn’t necessarily mean it’s in the can. You might also want to make sure it contains pumice as it will work better on the larger stains, and get that blotch out for good. Step One: Scoop a little of the hand cleaner onto the spot. Rub it in a circular motion to work it into the fibers. Step Two: Wash your kit as usual. I like to add a little dye-free detergent, turn everything inside-out, zip it up, and use a hand-wash setting. Pull it out of the wash et voila! No more black stains! SLO Cyclist's former chief editor and recovering road snob, Bek made sure everything ran smoothly around here. She was also the one who reminded us not to take ourselves too seriously--unless it involves black socks. Black socks are always serious.